Solomon Islands Diving Holiday | travel&co. Unspoiled and virtually untouched, the sparkling crystal clear waters surrounding the Solomon Islands provide a visual feast for divers. 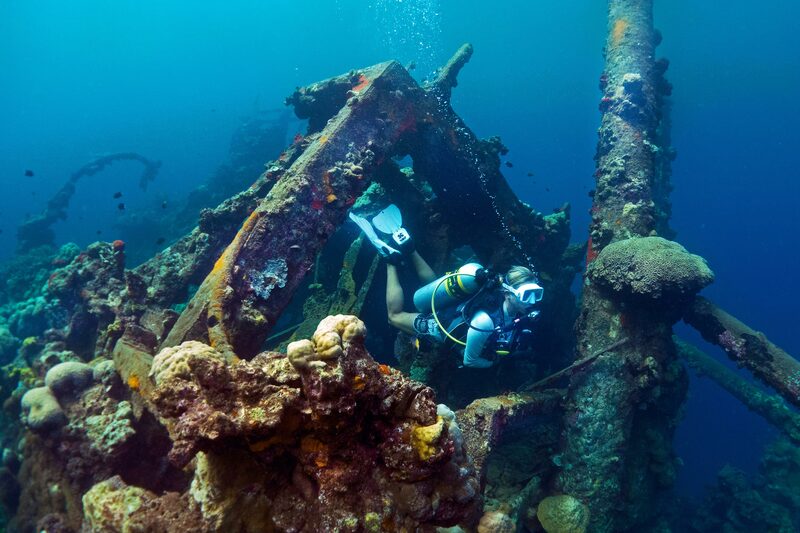 Home to over 900 islands, explore remote dive sites and discover WWII wrecks, unexplored pristine reefs, caverns, lush soft corals, and amazing underwater marine encounters. In some places you will be the only divers around for miles. A tropical treasure-trove blessed with white sandy beaches fringed with endless coconut palms. Honiara is a prime tourist and diving destination, offering a picturesque seaport, Point Cruz. The diversity and quality of dives around Munda are truly world-class. 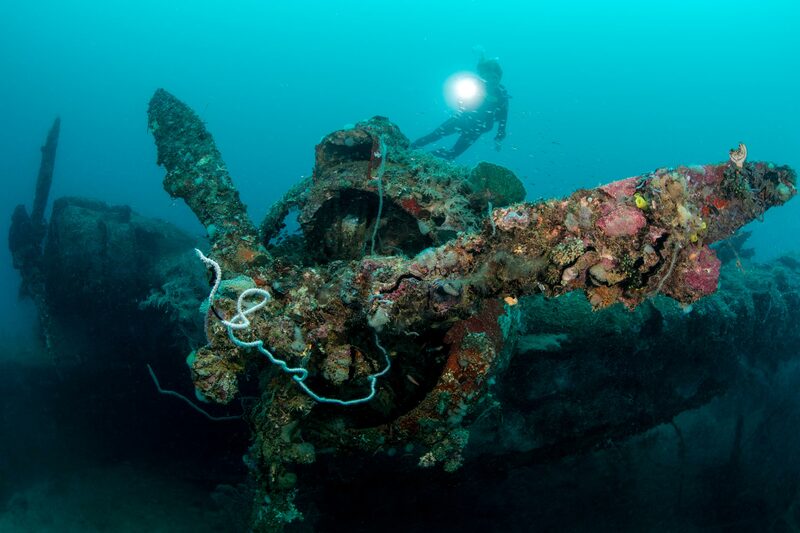 The go-to place for spectacular WWII wreck dives: sea planes, a mine sweeper and destroyers. 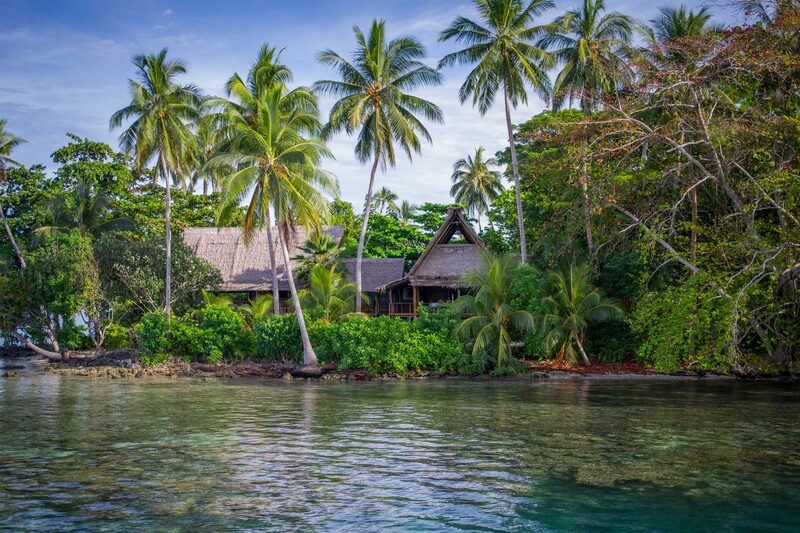 A very special dive resort and is arguably one of the Top 3 in the South Pacific. 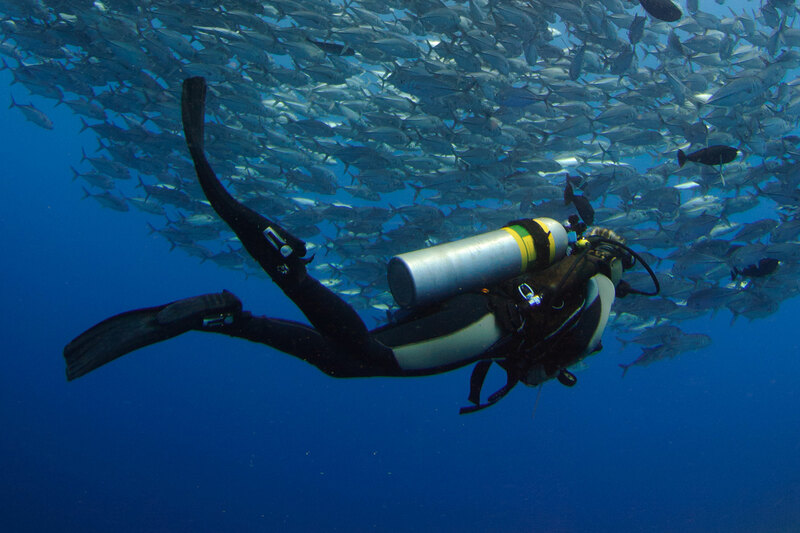 TAKA offers a great range of diving itineraries for exploring the Islands. 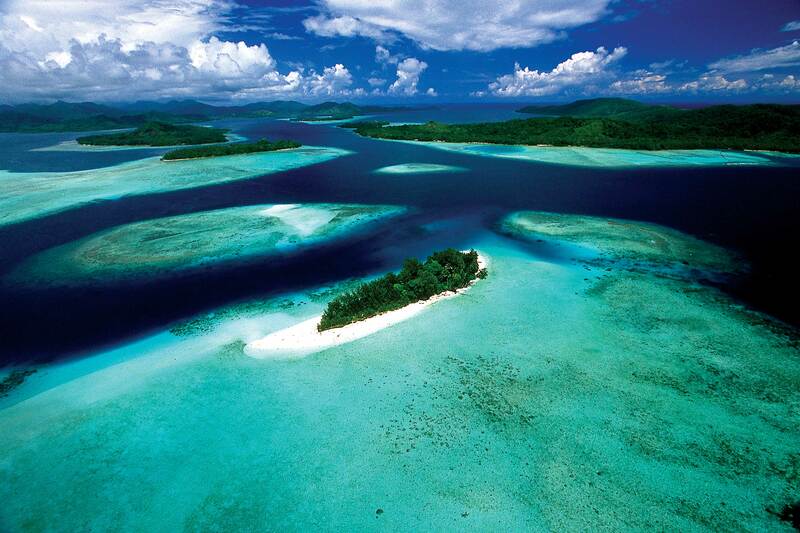 The Solomon Islands are comprised of more than 990 islands just south of the Equator. The island range from large landmasses with rugged mountains and virgin forests, to low lying coral atolls. They are scattered in a double chain of islands covering 1.35 million sq km of sea and extend for 1.667k, in a south-easterly direction from Papua New Guinea. The country’s capital, Honiara, is situated on the north-west coast on the island of Guadalcanal. Virtually untouched by commercial development, the island group remains a natural paradise. Most of the people still practice a traditional way of life, shunning the hectic pace and material concerns of the outside world. The climate is tropical. The average daytime temperatures are usually 26-33oC and drop down to 22-26oC at night. The light south east trade winds blow from April to November. This time of the year is characterised by fine dry weather. December to March is the “wet” season – the north west monsoon. During the Second World War the Solomons became the key turning point in the desperate and bitter struggle by allied forces to repel the Japanese advances in the South Pacific. Most of the fighting was concentrated off the mainland Guadalcanal area and around Tulagi in the neighbouring Floridas Islands. The violent days are long gone now. Today, soaring mist enshrouded mountains preside above dense, abundant rainforest, Waterfalls and rivers cascade to an intricate coastline. Villages and sun soaked golden beaches fringed with coconut palms lie scattered around lazy lagoons. Mother Nature weaves her watery spell amongst the wrecks of World War II. The machines and relics destruction now form artificial reefs that have attracted masses of fish and an incredible variety of coral. You will experience an extraordinary array of differing structures and bio-assemblage; including Shallow and deep coral gardens with magnificent drop-offs, ledges and gutters, sharks, all manner of light game fish and an enormous range of reef fish. Turtles and, mantas and eagle rays are common sights, together with friendly Hammerheads. Solomon Islands diving has gained an enviable world-wide reputation that’s unsurpassed. Throughout these magic islands is an endless variety of dive sites to suit all tastes and levels of experience. Since early 1999, the Isatabu Freedom Movement, a militia group made up of indigenous Isatabus from Guadalcanal, have expelled more than 20,000 Malaitans from the island. The Malaitans had migrated from nearby Malaita, and many secured jobs in the capital, Honiara, stirring resentment among Isatabus that has grown steadily since independence. In response to the ethnic violence and expulsions, a rival Malaitan militia group was founded, the Malaita Eagle Force. In June 2000, the Malaita Eagle Force stole police weapons, forced Prime Minister Bartholomew Ulufa’alu to resign, and seized control of Honiara. The rival groups agreed to a cease-fire in June 2000, barely averting a civil war. Although a peace agreement has been signed and elections have taken place, the country continues to suffer from lawlessness. In July 2003, at the request of the prime minister, a 2,250-strong international peacekeeping force led by Australia arrived on the island to restore order, disarm the militias, and expel the “thieves, drunkards, and extortionists” from the notoriously corrupt police force. Australia’s intervention was highly successful, and two years after troops arrived, the country remained relatively stable. Honiara International Airport is the only International airport in Solomon Islands and has connecting flights from Brisbane, Australia 4 times a week with Solomon Airlines – Monday/Wednesday/Friday and Sunday. 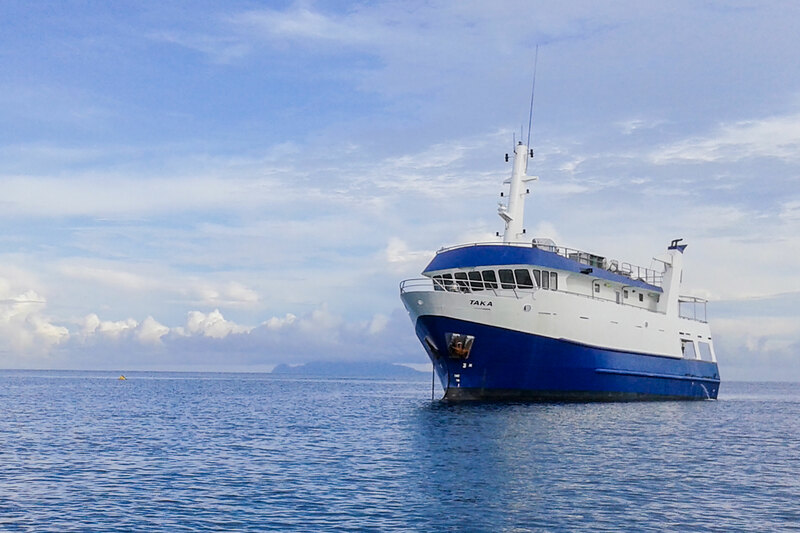 Honiara – Tulagi – Honiara: 1 hr by boat on demand.